The best time to visit Dharamshala is during the months between March and mid July. The weather is pleasant and one can go trekking during this period of time. Which are the top 5 must visit places in Dharamshala? The Tsuglagkhang Complex, Namgyal Monastery, Kareri Dal Lake, Bhagsunag Temple and Bhagsunag Waterfalls are the top 5 places which every tourist should visit while in Dharamshala. How can I get attractive discounts on hotels in Dharamshala? There are many online travel portals which provide a range of hotel options to choose from. 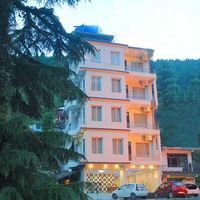 Cleartrip is one such website which offers attractive discounts on hotels in Dharamshala at the best price. You can use a valid coupon code to avail instant cashback before booking a hotel of your choice. Can unmarried couples stay in hotels in Dharamshala? Yes, even though there are several hotels in Dharamshala which allow unmarried couples to stay together but the accommodation will be provided only if suitable identification proof such as Aadhar card, Voter ID etc is shown at the time of check-in. Not all hotels allow unmarried couple to stay. How can I find hotels near Dal Lake Dharamshala? 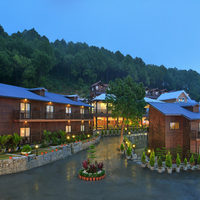 You can easily find hotels near Dal Lake Dharamshala on Cleartrip. You just need to enter Dal Lake Dharamshala in the Where field option on the Hotels Page. The lists of hotels near Dal Lake will be displayed in the search results and you can book the hotel as per your requirement. How do I book homestays in Dharamkot, Dharamshala? You can visit Cleartrip website Hotels Page and search for “homestays in Dharamkot, Dharamshala” in the Where location filter. List of homestays in Dharamkot will be displayed, and you can choose your homestay from the listed ones according to your budget and requirement. Do Dharamshala hotels offer Wi-Fi facility? 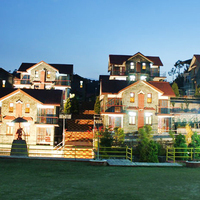 There are several hotels in Dharamshala, which offer Wi-Fi facility. 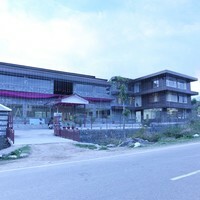 Some of them are Asia Health Resorts and Spa, Fortune Park Moksha, Welcome Heritage Golf Resort, Spring Valley and so on. For more options, click on hotels with Wi-Fi in Dharamshala . However, it is always better to check with the hotel to know whether Wi-Fi is complimentary at the time of booking. What can I buy from Dharamshala? You can buy Tibetan carpets, mats, hats, bags, slippers, dresses, chubas, woollen shawls, jewellery, mandala paintings and exquisite thangka paintings. Do not forget to buy souvenirs or gift items like Buddha Statue and singing bowls. Can you tell which are the best places to enjoy nightlife in Dharamshala? 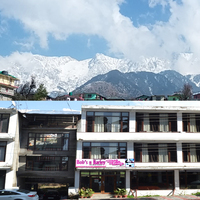 Some of the best places to enjoy nightlife in Dharamshala are Mc Lio Bar and Restaurant, Black Magic, Bhagsu restaurant, Roof top at Asian Palace and X-cite discotheque. Can you list the top 5 shopping areas in Dharamshala? The best five shopping areas of Dharamshala are Kotwali Bazaar, Tibetan Handicraft Center, Green Shop, Village Boutique and Palaco Hand-made Crafts. What are the famous sightseeing spots in Dharamshala? Dharamshala offers excellent spots to visits such as McLeod Ganj, Kangra Valley, Dharamkot, Dalai Lama Temple Complex, Bhagsu waterfall, Gyuto Monastery, Bhagsunath Temple and many more. What are some must do things in Dharamshala? Dharamshala offers a lot of things to keep the tourists engaged. Apart from visiting the top tourist attractions, adventurous activities like camping, trekking, paragliding and rappelling are some other things to do in Dharamshala. Suggest a few top monasteries in Dharamshala? Gyuto Monastery, Tibetan Buddhism Monastery, Tsechokling Gompa and Nyingmapa Monastery are few popular monasteries in Dharamshala. What activities and experiences can I enjoy in Dharamshala? You can go on a sightseeing tour to explore the cultural heritage of Dharamshala, gorge on some delicious Tibetan food, go shopping or indulge in some activities like camping, cycling, trekking, paragliding, and rappelling. 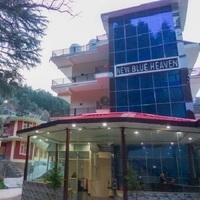 How to book a room for international guests near Bhagsu Falls Dharamshala? Visit Cleartrip website and go to hotels in Dharamshala option, and then select hotels near Bhagsu Falls from the landmark dropdown. 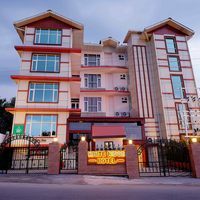 You can view a list of hotels located near Bhagsu Falls and choose the one, which is best suited for international guests. 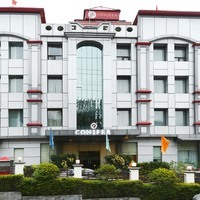 Which are some good Fortune hotels in Dharamshala? 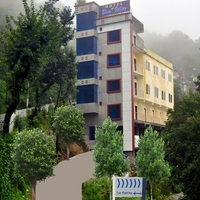 Fortune Park Moksha and The Pavillion Dharamshala are some of the good Fortune Hotels in Dharamshala. Which are the places to visit in McLeod Ganj? Some of the best tourist places in McLeod Ganj are Triund, Bhagsu Falls, Bhagsunath Temple, Namgyal Monastery and Tsuglagkhang. 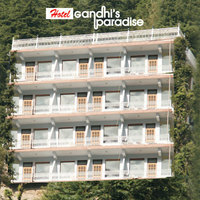 Can you name some 4-star hotels in Dharamshala? Some of the 4-star hotels in Dharamshala are Asia Health Resort and Spa, Fortune Park Moksha, Rakkh Resort, Nature Bloom Resort and many more. 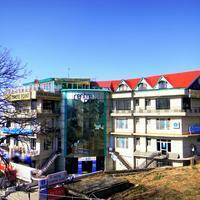 Book the best 4-star hotels in Dharamshala at best prices through Cleartrip. Can you list some hotels in North Dharamshala? 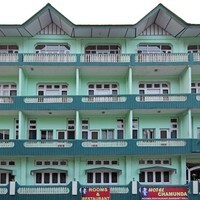 Hotel Anand Palace, Welcome Heritage Grace Hotel, Spring Valley Resort are some hotels in North Dharamshala. For more information, you can choose North Dharamshala from the ‘Hotels By Region’ drop-down on the Dharamshala Hotels page on Cleartrip. Can you name some budget hotels in Dharamshala? 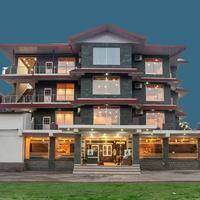 Mount View Hotel, Hotel Greenwood Inn, Pawan House, Hotel Vijay Palace are few popular budget hotels in Dharamshala. 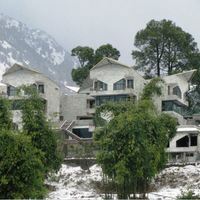 What are the top hotels to stay at Dharamshala? 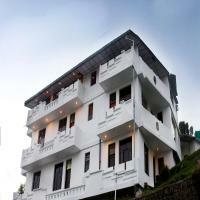 Looking for the top hotels in Dharamshala? Then you can choose from Asia Health Resort and Spa, Fortune Park Moksha, Rakkh Resort, Nature Bloom Resort and many more. How far is Dharamkot from Bhagsunag Waterfall? It takes approximately 6 minutes to travel from Dharamkot to Bhagsunag Waterfall and the driving distance between Dharamkot and Bhagsunag Waterfall is about 2 km. Where can I enjoy best Tibetan food in Dharamshala? Enjoy the best local cuisine in Tibetan Kitchen, Snow lion restaurant, Lobsang’s Four Seasons Café, Peace Café and so on. What are the top places of interest in Dharamshala? Triund, Tsuglagkhang Complex, Namgyal Monastery, Kareri Dal Lake, Bhagsunag Temple, Bhagsunag Waterfalls, Naddi Village, Gyuto Monastery, Masroor Rock Cut Temple, Kangra Art Museum, Kangra Fort are few top places of interest in Dharamshala. 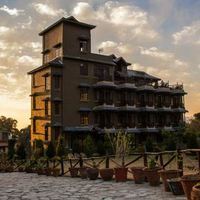 Can you tell me about some heritage hotels in Lower Dharamshala? Do check out the heritage hotels in Dharamshala like White Heaven Estate which is a beautifully designed property in lower Dharamshala. Dharamshala nightlife does not have much to offer to travellers who love partying, but there are many restaurants and pubs to visit. Some of them are Tavern-the Bar, X-cite Bar and Restaurant, Roof top restaurant and Bar. Are there any hotels near Dharamkot? Yes, there are about 7 hotels near Dharamkot. Hotel Dev Cottage, Hotel Greenwoods Inn, The Lodge are few of them. 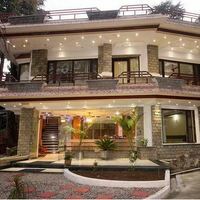 To find more hotels near Dharamkot, you can visit Cleartrip.com. Is room service available at Dharamshala hotels? 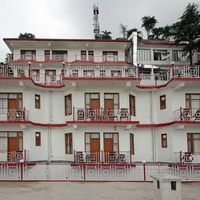 Most of the hotels in Dharamshala offer room service to the guests. Hotel Anand Palace, Asia Health Resort, Spring valley Resort are few hotels known for their outstanding room service. For more options, visit Cleartrip website and click on hotels with room service in Dharamshala. Do hotels in Dharamshala offer bar facility? Yes, there are many hotels in Dharamshala which offer bar facility. Spring valley Resort is one such hotel. You can check out more hotels with bar on Cleartrip. Where can I go for weekend getaways from Dharamshala? You can visit Shimla, Chandigarh, Dehradun, Srinagar, Manali, etc. from Dharamshala on weekend.